“Made in Italy one off” is the expression that embodies the concepts of experience, research, development, flexibility, iconic design, top performance and outstanding efficiency - all definitely confirmed by the shipyard’s proud Clients publishing direct interviews and feed back on the Otam Brand and Products. Mechanical engineering & craftsmanship 100% Italian excellence where style, technology and mechanics become the emblem of high specialisation and of Italian high quality since 1954. The well-established reputation of Otam product quality, the intention and ambition of the Italian shipyard to exceed customer expectations at every time are proven by the fact that some of the shipyard’s customers, “mostly returning experts from northern Europe”, have spontaneously asked to leave a number of endorsements and personal feedback, which are openly published in the “Client says” section of the shipyard’s renewed web site (prepared and finely tuned by Victorycommunication). It is the client and their representatives and surveyors who are talking about the birth of Otam products from behind the scenes. This proof of the great pride of end customers and of the special relationship with the shipyard. 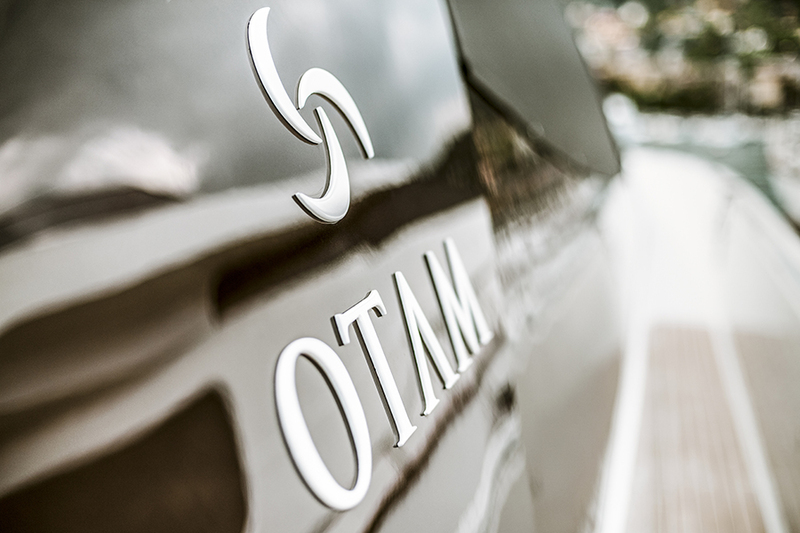 Quality reliability and consistency are a truly distinguishing sign in the modern yachting scene, placing Otam in its very own, “One Of A Kind” niche. OTAM 2019 - Currently under construction Otam is currently building a number of new models that have all already been sold to end customers, which stresses that the Italian shipyard does not produce mass-made items but only totally “ONE OFF” ones. 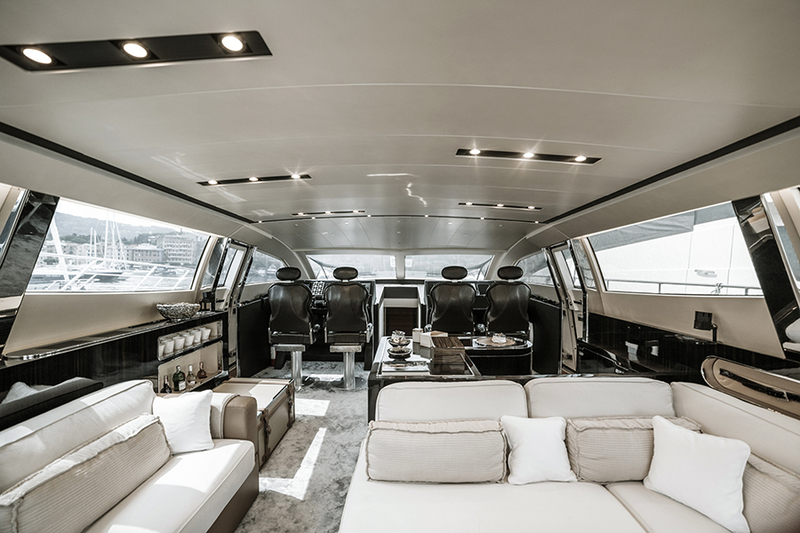 The first 85 GTS, a new creation of the shipyard developed by working closely with the customer, has interiors and numerous details that have been managed by the Paris-based firm JDA Architecture. Additionally, a new 65 HT yacht has the touch of Francesco Guida Design in its style and in the details of the layout and of the interiors. The new 65 HT is a pure expression of extreme customisation. 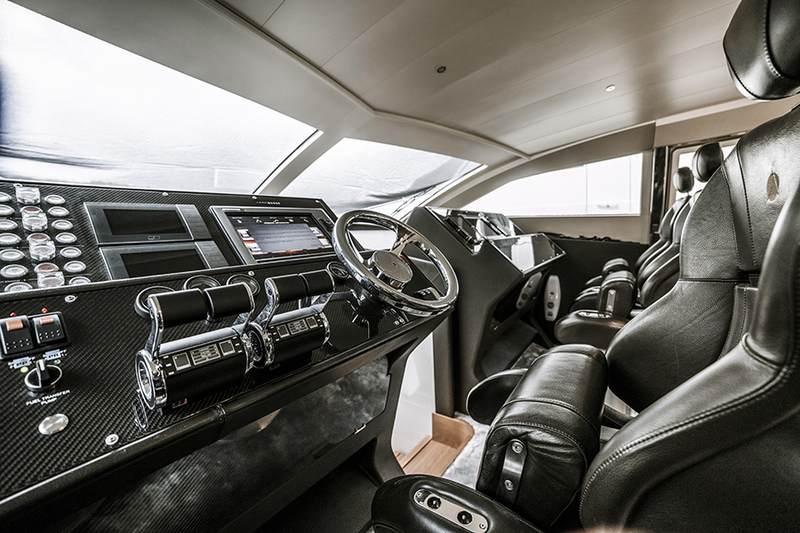 The engines will allow the yacht to reach a top speed of 60 knots and the significant restyling of the exteriors was requested by the customer. The sixth hull of the Otam 80ht model (which is already under construction) will have many, very new elements and contents, especially in the exteriors and, obviously, in the internal layout and personal touch of the Buyer. Recently, another result “The 2019 Top Secret Project” is still shrouded in mystery. It has already been sold and will be made public in the next future. It is truly special ONE in pure OTAM style and DNA! Otam Co-Design Lab – “Design and build your ‘personal vision’ translated by your favourite designer”. The Liguria-based shipyard made a brave and very specific decision when it offered itself as a laboratory in which customers or designers could bring, quote, develop and build “their project” as was the case of the 35-metre Gypsy yacht with a semidisplacement hull, launched and delivered to the end customer in 2016 and winner of two awards... A number of other projects are currently being developed and we will learn more about them soon. They confirm the strong and eclectic personality of the OTAM brand. In its CUSTOM RANGE, the shipyard aims at placing no restrictions on the customer with one style or line of products. 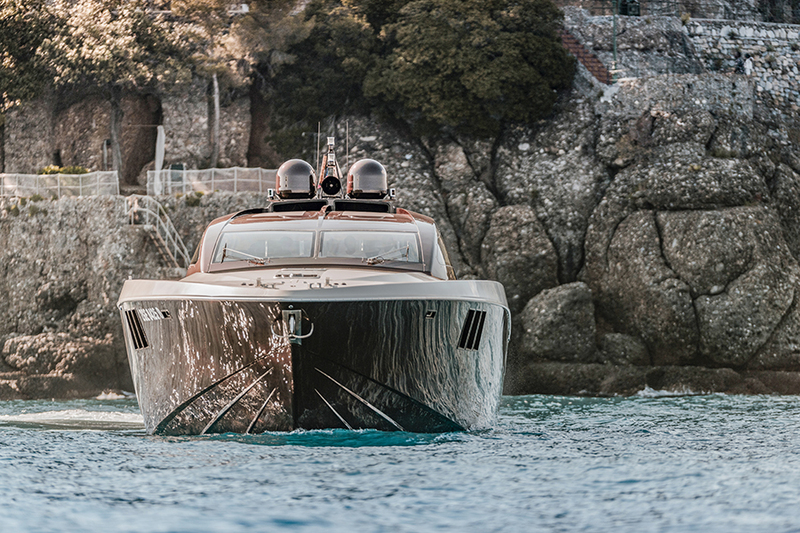 On the contrary, it invites customers and designers to create their own, translating it into a real yacht by working closely with the Italian shipyard. To date, Otam Co-Design Lab is working with many of the most important Italian and international design firms in the world of yachting, such as Tommaso Spadolini, Umberto Tagliavini, Hot Lab, Achille Salvagni, Paolo Martin, Cristiano Gatto, Francesco Guida Design, BG Design Firm, just to mention a few. Recently they have also been working with the Parisian firm JDA Architecture, with which they are completing a perfect example of “One Off” (currently under construction). It is not by chance that one of the shipyard’s symbols, the Otam 80HT Mr Brown, was the ideal photography set for Watch Insanity and for the Portugieser Yacht Club Chronograph watch by IWC, a Swiss luxury watch maison which has precision, sports spirit and design as its brand labels (Photo credits Watch Insanity). 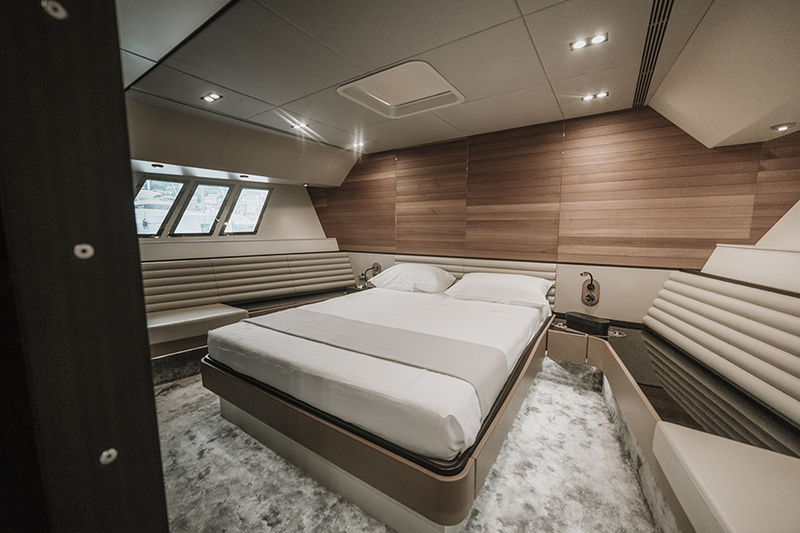 The Otam 80HT yacht is the perfect example of the shipyard’s ability to bring to life the dreams of individual owners. 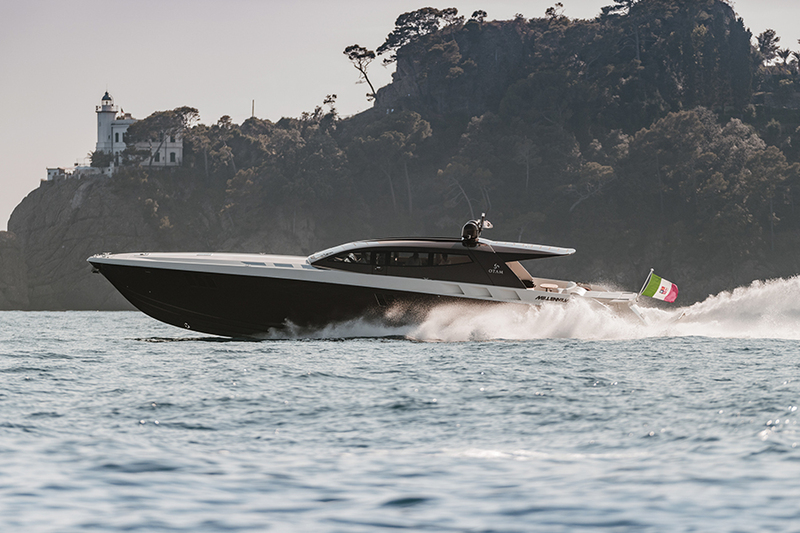 While Mr Brown is the only yacht in the world with four MTU 1620 horsepower engines coupled with Trimax transmission (from the world of racing and competitions reaching a top speed of 54 knots). The owner of the most recent delivered Otam 80HT yacht Mystere has explicitly requested to have two engines (each with 2600 hp), which make the internal layout breezier and still allow to cruise at 40 knots with a top cruising speed of 49 knots. The most recently sold (end of 2018) 80HT yacht will show just how much the shipyard pushes outwards in the direction of “ONE OFF” and extreme customizations.